Elevate Your Efforts to Greatness! Helps You Increase to Medal Lev﻿els!!! Are you looking for a speaker that is passionate and dynamic who can connect and will help you positively change or improve your organization? Have you faced set backs in this tuff economic time and are not sure what to do or where to turn? Do you need a new approach that will make immediate results for your bottom line? All of these are great questions and reasons why Brandon can help you! Your organization will love his creativity, miraculous stories, the new approach he has designed to help them build confidence, see above the average bar of performance, motivate them to achieve new heights, and help them overcome the hurdles and road blocks of everyday life. See how his obstacles can become great building blocks to improve your objectives. and they will come to realize their true talents, all in a way that will quickly improve your bottom line. Brandon is perfect for audiences ranging from personal and professional associations, employees, management, and corporate events, as well as programs for educators and younger future leaders of corporations. Brandon is a business expert as well as a professional motivational speaker and trainer. He is the author of the self-help book 101 Ways to sell your house and keep the commission and is finishing his second and third book The ABC’s of Business Survival, Revival, and Thrival in the modern economy, and The Distinctive Watermark Principles: How to Elevate Your Efforts to Greatness!. He has had leadership and adventure in all 50 states and in 30+ countries including having been presented the 2nd highest award for serving youth in Scouting around the world by the HMS King of Sweden while a guest of the HMS Queen of England in 2007. Brandon has also had to accelerate his achievements in life when medical problems arose resulting in a long list of achievements. He has been presented two lifesaving awards for courage and heroism from the Boy Scouts of America, as well as most every award from the BSA for Leadership, training and mentoring. Brandon is a master at triumphing against all odds. He fought and won a battle against cancer once at fifteen and then again at twenty two. He survived being hit by a drunk driver which left him in the hospital for a long time. He has survived two major accidents with two dump trucks and had to learn to basically walk and talk again. He overcame living on his own as teenager and other major setbacks. His positive attitude and driving focus enabled him to enjoy success when others thought the plug should be pulled. Brandon loves the outdoors and regularly camps, backpacks, and traverses the trails. He also enjoys golfing, basketball, and most other sports as well as theatrical plays, concerts, and the movies. When he is not researching and writing his books he is mentoring youth through Scouting, and local youth groups. Brandon has extensive experience in many facets of leadership, management and business. He has served in sales and later served as Director, and Vice President of Sales helping his employees exceed quota's and have a better life. His foresight made him CEO and directed the start-up of four businesses. He is known for his out of the box approach and always finding a winning solution for every problem. When others told him that he could not participate, he trained until he won. When he was told something was impossible, he created a new way or path and made it happen though sheer will power and finding others willing to try. He has successfully coached and mentored dozens of businesses as well as fought cancer twice, survived two dump trucks accidents, and third accident when he was little as well as accomplished over 3,000 plus goals to date. He has had leadership and adventure in all 50 states and in 30+ countries including having been presented the 2nd highest award for serving youth in Scouting around the world by the His Majesty King of Sweden while a guest of the HMS Queen of England in 2007. He has completed Bachelors in Business, an MBA, and a Doctorate in Entreprenurioral Acquisitions from London, England. 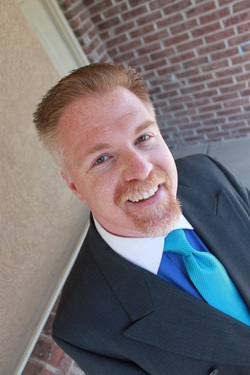 Brandon is a sought after professional speaker and trainer, as well as a business survival expert. He is the author of the self-help book 101 Ways to sell your house and keep the commission and is finishing his second and third book The Distinctive Watermark Principles for Everyday Success, and The ABC’s of Business Survival, Revival, and Thrival: in the modern economy . Brandon first met and fell in love with his wife in Jr. High when they were working at Lagoon, an amusement park in Utah, and Brandon later worked up the courage to ask her out on a date. They have known each other for 20+ years now and have been happily married for 16 years. They have two boys and two girls that are nearly as active as Brandon. Scouting has been a big part of Brandon's success. There he learned to set goals where he earned his Eagle Scout award and all but one of the merit badges offered to him. He served as an officer at many levels of the Order of the Arrow, the National Honor Society for the Boy Scouts of America. There he was presented the Vigil Honor, and the Founders Awards. He is grateful that a Scoutmaster helped him to get out of a gang in Denver Colorado, and helped him to turn around his life. Now Brandon is turning around thousands of lives through his mentoring and service to youth programs. In scouting he has received 27 of the 34 awards possible, including the Silver Beaver award for Distinguished service to youth at council level, the William H. Spurgeon award for at risk youth, and the Life Saving awards, just to name a few. Now he continues his pursuit of adventure and mentoring businesses while he motivates employees and corporations to perform at a personal best pace every day and the A.C.E. formula to overcome hurdles and make them your strength. He has many records and has received numerous awards for being the Top Salesman, as well as managing his team to excellence. We look forward to seeing how Brandon can serve you and your organization. To book Brandon call today 801-317-9412!